Some last minute call offs meant that, with thirteen players, Ventnor travelled to Overton in hope rather than expectation. And so it appeared after an early try from the hosts. But, to their great credit, Ventnor fought back and, after a storming break by Marsh and good work by Gough and Teague, Cooper burrowed under a mass of bodies to equalise. Ventnor’s set scrum more than held its own throughout with Pratt, Savill and Stemmet outstanding. Marsh and Colson did the work of four men in the back row and Teague and the evergreen Flanagan never shied away from the constant defensive duties that Overton’s greater numbers demanded. The young back three of Turner, Gough and debutant Alex Enache had the most difficult task, faced with superior numbers in open space but kept up their effort until the end as Overton began racking up the points. Blake was always probing in attack but it was flyhalf Lines who provided Ventnor’s best moment with an sharp interception and a dazzling run to score the visitor’s second try. Ventnor were credited by the referee as playing well despite despite the disadvantages they faced on the day. 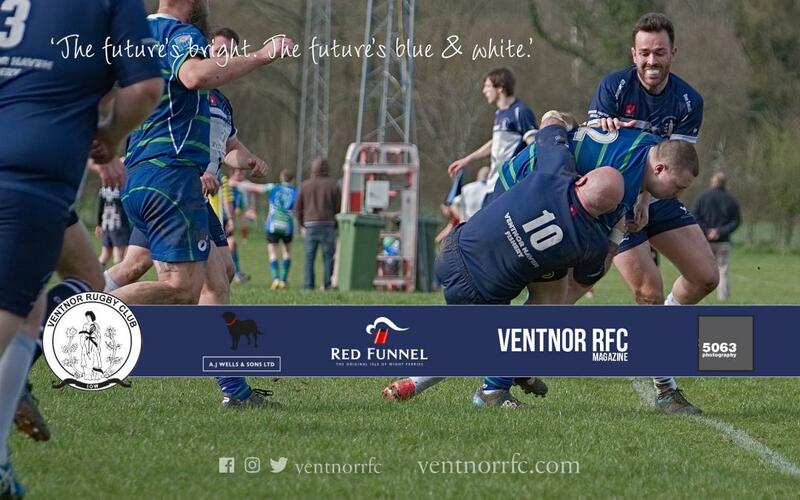 This Saturday, Ventnor look forward to the return of a lot of players, as they entertain Romsey at Watcombe Bottom for what will be the last home game of the season.